CeRDI is committed to building strong research relationships with organisations, communities and government, as exemplified by the projects and new initiatives outlined in this newsletter. Strong partnerships have supported recent achievements and milestones across the National Waterbug Blitz, Latham’s Snipe, Online Farm Trials and Online Final Reports research projects. Interdisciplinary approaches and collaboration with domain experts from across industry are also important, supporting CeRDI research growth and impact. Recently commenced research projects represent exciting new collaborations. 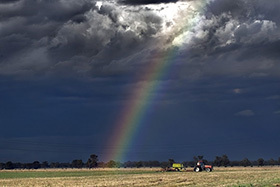 These include FedUni joining the Centre for New Energy Technologies as a founding participant, and CeRDI leading the establishment of the Australian Research Data Commons funded Agriculture Research Data Cloud. CeRDI is also extending its collaboration with Emergency Management Victoria through by establishing the My Community Portal. CeRDI has also received notification of funding to establish another data visualisation platform, this time for Australian soils. More details about this will be included in the next newsletter. Through CeRDI research activities we are continuing to contribute strongly to FedUni’s overall strategic goals by providing impactful research in partnership with government and industry and the communities we serve*. 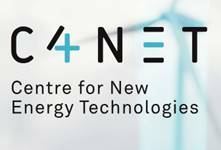 FedUni has recently become a founding participant in the Centre for New Energy Technologies (C4NET). C4NET has been established to support and capitalise on energy transformation, and with building skills, capabilities and instilling innovation in Victoria’s new energy technologies sector. b) providing education about the new energy technologies sector to support the next generation of industry professionals. FedUni will contribute to a range of research and associated activities through its participation in C4NET. CeRDI will play a key role in informing data-led best practice approaches. 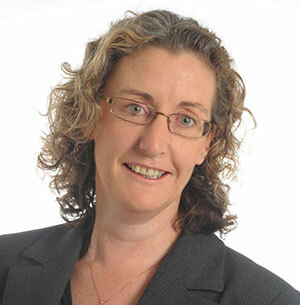 This work will be guided by lead researcher, Associate Prof Helen Thompson. Opportunities for CeRDI engagement include bringing together energy, government, research and other data for public good outcomes in key areas of focus including social licence to operate, citizen science, and open data. CeRDI will also be exploring opportunities to Visualise Victoria’s New Technologies based upon similar, highly successful ‘visualising’ platforms developed by CeRDI where data from disparate sources is federated to support industry and community insights and decision making. Visualising Victoria’s Groundwater (www.vvg.org.au) demonstrates what is possible if similar approaches are applied to Visualise Victoria’s New Technologies. Other areas of the University including the School of Science, Engineering and Information Technology and FedUni TAFE will also be engaging in C4NET research and education programs and initiatives. CeRDI is collaborating with Agriculture Victoria to implement a two year Grains Research and Development Corporation (GRDC) funded research, development and education project to improve the methods of communicating and using imperfect, yet improving, seasonal climate forecast information. Extending "The Break" seasonal forecast commentary to cover the whole GRDC southern region. This includes specific monthly products for each of South Australian, Victorian and Tasmanian growers. Creating a summary publication with case studies and worked examples to assist GRDC Southern region growers and advisors on the use of seasonal forecast information to better target crop inputs, manage risk and increase profitability. Leading this project is Agriculture Victoria’s Graeme Anderson and Dale Grey who will work closely with other industry partners including the Government of South Australia, the South Australian Research and Development Institute, and Regional Connections. CeRDI, under the leadership of Associate Professor Peter Dahlhaus, is supporting the project, developing innovative web resources and seasonal forecast information, designed specifically for farmers in the GRDC southern region. This project will provide packaging for the latest, available information about climate information for growers in the southern region. This will enable farmers to address challenges associated with seasonal climate forecasts through enhanced resources to support their profit and risk management capabilities, and inform decision-making. CeRDI has been working closely with researchers at CSIRO with the aim of developing standard Australian soil testing procedure vocabularies. Associating data terms with a standard vocabulary are crucial to enabling data discovery, data reuse and data understanding. Linked Data provides a simple mechanism for exposing, sharing, and connecting data, information, and knowledge from multiple sources across the Semantic Web using unique identifiers. Web search engines, government agencies, international corporations and start-up companies all use Linked Data standards for the publication, dissemination and reuse of structured data. Linking data from disparate sources can offer significant value and novel insights not apparent when the data is viewed in isolation. In May 2018, CSIRO’s Dr Jonathan Yu and Dr Simon Cox presented at the Collaborative Conference on Computational and Data Intensive Science. Entitled Excel2LDR: Lowering the bar to entry for defining vocabularies as Linked Data the presentation examined how their partnership with CeRDI had led to the development of a new Tool, designed for domain experts and scientists to more easily publish vocabularies to a formal vocabulary, in this case a Linked Data Registry. It is anticipated that these soil procedure vocabularies will soon be adopted by government, researchers, and soil laboratories to assist in making their data more consistent, meaningful and discoverable. When combined with other linked data, properly described soil data has the potential to offer new insights and generate solutions to improve and enhance Agricultural and Natural Resource Management. The National Waterbug Blitz website, the official site for Australia’s first nation-wide waterway monitoring event, was launched on 15 June 2018. 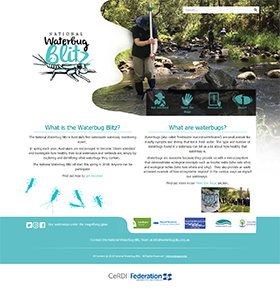 The National Waterbug Blitz is a citizen science project led by CeRDI in partnership with Waterwatch, Corangamite CMA, Envirocom Connections and The Waterbug Company. The project was funded by the Department of Industry, Innovation and Science as part of the Inspiring Australia – Science Engagement Program. The project’s first monitoring event of Australia’s waterways will commence in spring 2018 and will involve the coordinated assessment of the health of waterways and wetlands. During the event, Australians will be encouraged to become citizen scientists and assist with collecting diverse water bug data. The event is open to anyone willing to engage with nature, build their skills and learn about freshwater biodiversity. It is anticipated that data collected during the event will provide a repository for new knowledge about water bugs (aquatic invertebrates) which provide key indicators of river health, including the state and condition of our nation’s waterways. CeRDI team members Dr Birgita Hansen, Patrick Bonney, Scott Limmer, Paul Feely and Craig Briody have been closely involved in developing online resources for the project. 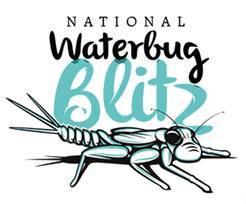 The National Waterbug Blitz website will be integral to the project’s overall reach and success. It will become the hub for communicating information to the public about the project and advising them on collecting data, and collating data obtained during the national event. Available information will also assist citizen scientists to plan ahead for the national event, and access appropriate resources while, importantly, getting to know and understand the waterbugs and their waterways. CeRDI is collaborating with Emergency Management Victoria (EMV) to support Community Based Emergency Management (CBEM) through the development of the My Community Portal. This community-based approach to emergency management (EMV, 2016) was recently introduced to support people to build safer and more resilient communities. The approach relies on community expertise and local knowledge to enhance local decision making. A key element of this is to provide localised, reliable and up to date information, which will be available through the portal. CeRDI will be instrumental in the development of an interactive platform enabling communities to both upload and share location based information, including via a web map, and access data to improve their preparedness for emergencies. In Victoria, fire and flood represent the greatest number of these emergencies, with landslides also an issue in some coastal areas. The aim of My Community Portal is to support people to develop, access, use and improve community based information and enhanced ICT systems, to make safer and more informed decisions – that lead to action. Initially twenty communities will be engaged through the My Community Portal project. The My Community Portal implementation is underway and will be completed by early 2019. CeRDI has recently been granted an extension to the Online Final Reports project in collaboration with the Grains Research and Development Corporation (GRDC). 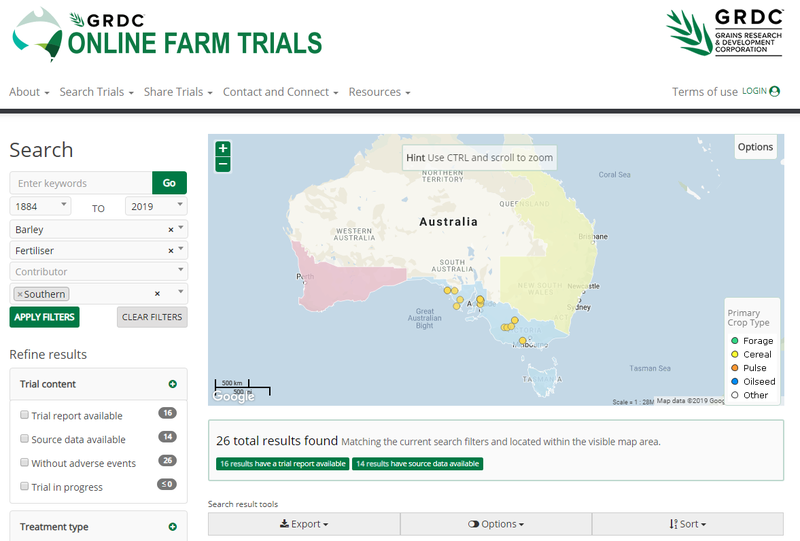 The CeRDI team have been working with Online Farm Reports with the aim of ensuring that information about GRDC funded research is accessible and available for public access. To achieve this, CeRDI has developed a digital repository for GRDC final report summaries. Reports are available dating back to the early 1990s. The project has enabled GRDC to evaluate, convert and collate reports into a consistent and accessible format for easy access and comparison. Innovative knowledge management approaches are enabling greater research access and knowledge dissemination across the grains industry. The project extension will focus on making archived final reports accessible. There will also be improved integration with other GRDC systems, such as Online Farm Trials. CeRDI is pleased to welcome new staff member Kate Light to the CeRDI team to assist with the Final Reports Project. Kate brings extensive agronomy and plant breeding experience to her role as Research Officer, Agricultural Science. The consolidation of final reports supports the long term commitment by GRDC to improve the transparency and accessibility of information about past research. Furthermore it will provide a strong foundation for improved decision making and performance benchmarks for the agricultural sector. Latham’s Snipe research team visit Japan. A team of researchers, led by CeRDI’s Dr Birgita Hansen, together with school-aged children from the Canberra Young Rangers, recently visited Hokkaido, Japan. The trip was organised for the Children’s International Conservation Collaboration in conjunction with the Latham’s snipe project. This was the second visit to Japan for the Latham’s snipe project team, and the first for the Canberra Young Rangers. 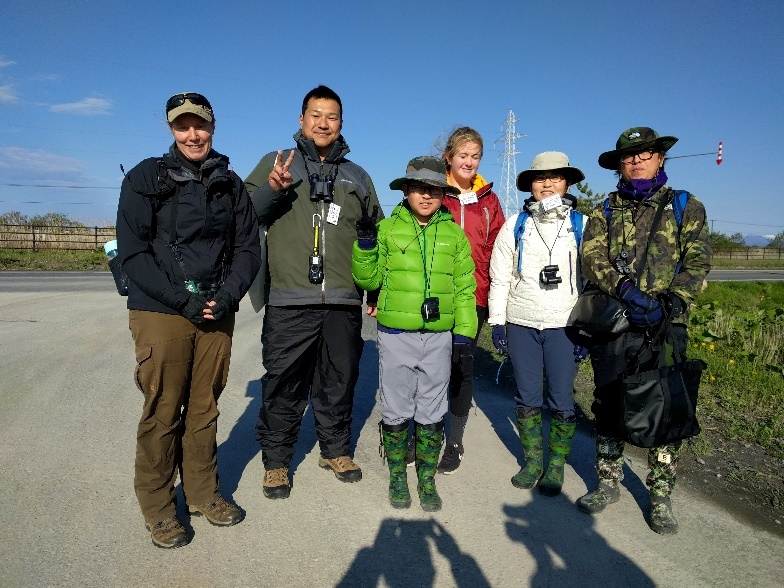 During this visit the Latham’s Snipe research team and Young Rangers joined Japanese school children to learn about snipe conservation in Australia and Japan, and assist the Wild Bird Society of Japan (WBSJ) with bird monitoring and surveys. The Latham’s snipe (Gallinago hardwickii) is a shorebird that migrates to Japan from Australia during the northern summer. Since the awarding of funding from the Australia Japan Foundation in 2015, the project team, which includes a dedicated group of experienced Landcare volunteers, has conducted research that has provided extensive new insights about the breeding, migration and population of this little-known wading bird. During a recent seven-day visit to Japan, the research team and the Australian school children participated in a range of conservation activities in Hokkaido, with local communities and schools. Uenae Elementary School was visited by the research team building on the relationships formed during the visit in 2016. Students from Australia and Japan exchanged greetings and shared their learnings and knowledge about global snipe populations. Presentations at the schools were also given by the researchers. Other memorable events during the trip included a visit to Tomakomai City Council to meet Mayor Hirofumi Iwakura and to share Japanese-Australian insights about conservation and research. 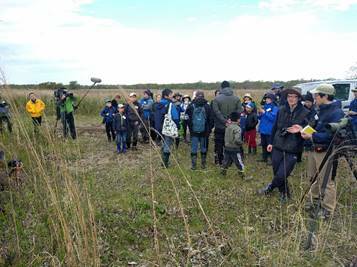 On another occasion, the Australian team joined around 20 Japanese children and their parents, and Hokkaido Television Broadcasting, to count snipe at survey grids (meshes) located around the area. In Japan, the Latham’s Snipe project has received much attention and interest. Previously, the Hokkaido Television Broadcasting produced a documentary about the research with filming and content for the documentary collected during a bird catching trip to Canberra, during the Australian summer. This recent trip was deemed a success by all who participated. The researchers and the Australian students gained new insights and friendships from working alongside their Japanese colleagues and peers. The Latham’s Snipe Project team continues to build upon the strong collaborations it has established with the Wild Bird Society of Japan and looks forward to working together on future research opportunities. The project team would like to thank the Australia Japan Foundation for providing financial support to visit Japan. They would also like to thank the WBSJ and especially the staff at Lake Utonai Nature Center for hosting them during their visit. The Online Farm Trials (OFT) Team is pleased to announce that the Grains Research and Development Corporation (GRDC) has provided additional funding to support the development and expansion of OFT over the next twelve months. Since OFT was first established in 2013 participation has progressively increased. 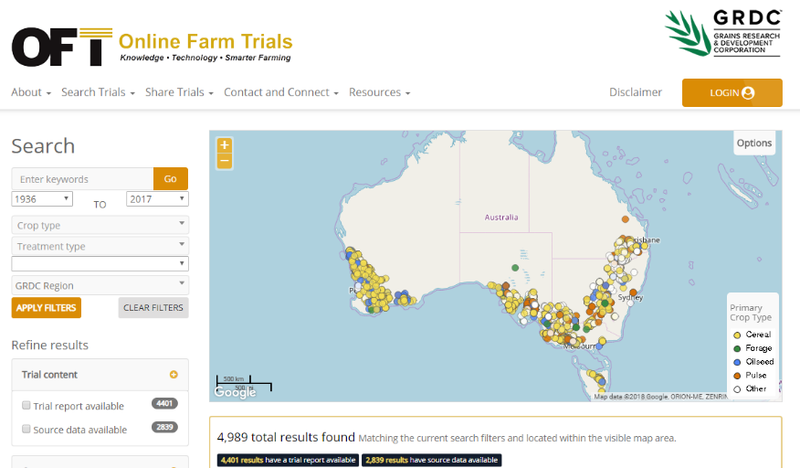 OFT now provides access to more than 6,500 trials from 71 contributing organisations. In the coming period CeRDI will focus on expanding industry participation in OFT, developing new tools that assist contributors to more easily share grains trials data, as well as undertaking a second-wave of CeRDI longitudinal impact research. CeRDI researchers, Judi Walters, Robert Milne and Assoc Prof Helen Thompson recently published an OFT-focused article in the Rural Extension and Innovation Systems journal. This article can be accessed here. Further details of the article can be found in the citation below. Walters, J., Milne, R., & Thompson, H. Online farm trials: A national web-based information source for Australian grains research, development and extension [online].Rural Extension and Innovation Systems Journal, Vol. 14, No. 1, 2018: 117-123. Julie commenced working with CeRDI as a Research Officer in September 2017. Prior to this, Julie completed a Master of Science in Geography with a minor in Biological Sciences from the University of North Texas. Her master’s research examined how livestock herders in the Central Argentine Andes adapt their water management strategies to drought and climate variability. In addition, her research investigated the ways in which farmers who practice traditional methods of agriculture are increasingly incorporating more modern technology into their agricultural practices and how this impacts their decision making, resource-use and livelihoods. While conducting fieldwork for her graduate research, Julie became interested in understanding how geography influences vineyards and the characteristics of wine. After completing her graduate studies, she travelled to different grape-growing regions including California, South Australia, Victoria and Tasmania to learn more about viticulture and viniculture. Julie has also earned a BSc/BA with honours in geography and foreign languages from the University of Southern Mississippi. Her diverse research background in both earth science and social science led her to pursue opportunities with the United States Department of Agriculture – Forest Service working as a Wildlife Biology Intern and the University of North Texas working as a Geography Teaching Assistant and Geology Laboratory Instructor. Julie’s keen interest in geography and agriculture brought her to CeRDI to assist in digital agriculture projects. She is currently working on the Online Farm Trials (OFT) – a web based system that improves access to on-farm, or field based, cropping research trial data and information to improve the profitability and sustainability of farming enterprises across Australia. Her primary role is to engage with the grains research community to ensure that benefits of OFT are maximised, and to provide support and tools for growers and farming systems groups, researchers and organisations to manage and publish their trial data and information. Julie enjoys working with the CeRDI research team to support decision making and practice change for the Australian grains community, and is excited about the future of OFT and its value for the grains industry. CeRDI staff updates: CeRDI welcomes three new staff members: Julian Laffey, Ally Parnaby and Kate Light. Julian has joined the technical team as a programmer, bringing 25-years’ experience in IT and programming. Ally is a health practitioner with experience in health promotion implementation and management. Ally is working with CeRDI on the VicHealth funded Youth C.A.N. project to change alcohol consumption norms for young people in Horsham. Kate will be working from the Horsham campus of FedUni on digital agriculture research projects. FedUni HDR conference 2018: CeRDI students participated in the FedUni HDR conference held on 26 July at the Mt Helen Campus. David Ebbs gave an oral presentation at the event entitled: Would you like a drink? Stormwater or sewage?